Unbox even more surprises with L.O.L. Surprise bubbly surprise! Includes an exclusive L.O.L. 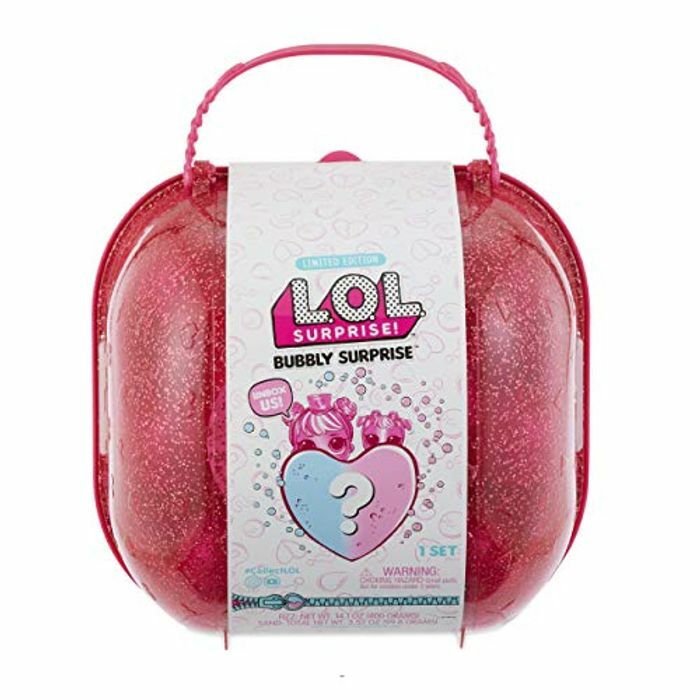 Surprise doll and pet hidden inside a heart-shaped bubbly, fizzy surprise. Unbox 6 more surprises by opening surprise balls and digging through sand. Add water to Your exclusive doll and pet for a bubbly water surprise. Sparkly package also becomes a purse and playset. One style only.